The works may have been finished a few months ago, but Chipping Norton Leisure Centre’s gym refurbishment was finally unveiled on 22 February. The £150,000 gym make-over included complete redecoration, new equipment and a new layout. Leisure centre operator GLL arranged a temporary gym in the Centre’s studio and squash court until the work was completed. 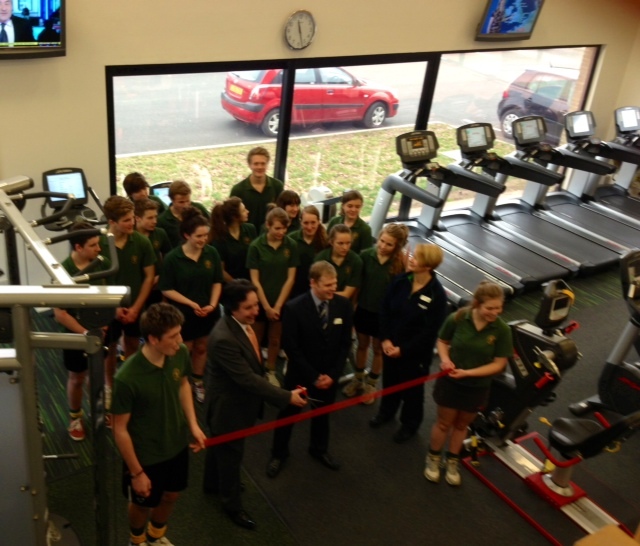 Councillor Richard Langridge, Cabinet Member for Local Economy, Communities and Culture at West Oxfordshire District Council, unveiled the new look gym in the presence of a group of Chipping Norton School, who were using the gym as part of their school PE lessons. The gym refurbishment project was funded by West Oxfordshire District Council, with operator GLL contributing to the redecoration. Additional floor space for stretching and core stability and the introduction of ‘virtual’ training are amongst some of the changes in the gym. The unveiling follows the recent WODC review into leisure facilities run by GLL, which raised concerns about visitor numbers, a lack of holiday activities, staffing levels and cleanliness at some of the sites. More on these issues in the next print edition of Chipping Norton News. 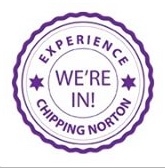 This entry was posted in launches, local services and tagged Better, Chipping Norton Leisure Centre, Chipping Norton School, Councillor Richard Langridge, GLL, gym, refurbishment, West Oxfordshire District Council. Bookmark the permalink.